Life is richer when you share experiences. 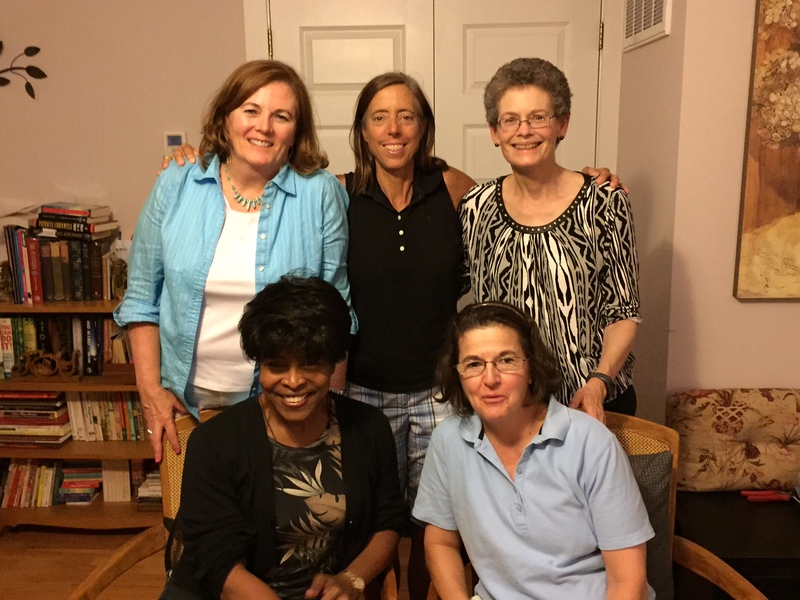 This past weekend, four women from my college class went to dinner together. With three of the women, we had interacted while at school and in the years since. But Donna and I had only exchanged greetings. When there are only 62 women in a class of over 900, you know who the other women are. Over the course of Saturday evening, we spoke more than we had the entire four years at West Point. Of course, we knew the same people and shared many of the unique experiences. My West Point classmates, especially my women classmates, understand the grueling four year immersion that is the United States Military Academy. Our friends help us endure and strengthen us. My co-blogger, Jane Collen, and I have been friends since we entered high school many years ago. What makes a friendship last? Being committed to communicating regularly is probably most important. The once-a-year holiday greetings give a synopsis of what’s going on, but by itself, it’s not enough to sustain a relationship. Over the years since graduation, Jane and I managed to meet each other when our military assignments and her business travel made the distances reasonable. The most memorable rendezvous was visiting the war memorial at Verdun, France, then trying to find an American cemetery. Following the road signs took us almost to Paris, but we never did find the cemetery. These days, IndexCardCure gives us a reason to collaborate and Skype weekly. The shared project makes our friendship stronger. Cultivating friends takes commitment. Unlike when you are going to school or have school-age children, you have to seek out places to find kindred spirits. People often consider their work colleagues as friends, then are surprised that the “friendships” dissolve when they leave the job. In good times or bad, friends can help us celebrate or cope. Developing and maintaining good friendships takes effort, but the enjoyment and comfort of friendships is a good return on investment. August 4, 2015 in Health, Need-to-know, Relationships.